I may seem old fashioned but this trend is now a normal tradition in the African culture. I met a lady friend a while ago who said that she was going away for sometime, specifically a year. She casually said she was going to have a baby. But I blurted out unconsciously, "But you are not married. Are you going to adopt a child? She replied casually that she was going to a sperm bank. She said she was getting old and she was tired of waiting for marriage and she needed someone to be with her in her old age. 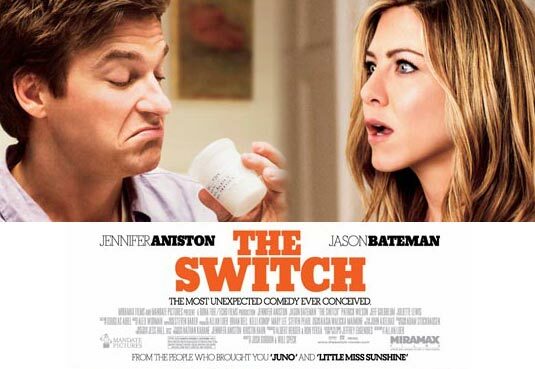 My mind immediately drifted back to a film I watched recently titled "The Switch" starring Jennifer Aniston and Jason Bateman. In this film, Jennifer Aniston acting as Kassie Larson decides she wants to have a baby and decides to do it alone with the services of a sperm donor. But one thing led to another and Jason Bateman acting as Wally Mars accidentally switches the sperm. Even though it was a comedy, the whole scenario played out as a normal scene in everyday life. In this film, there was really no problem with Jennifer having a child but she just decided she was going to do it alone, and raise the child alone. My friend felt justified that she wasn't doing anything morally or spiritually wrong. She wasn't a practising Christian and I just wondered if she knew what she was getting into - spiritually and what would become of the child she was going to bring into the world WITHOUT a father. Since she didn't have a relationship with God, she wasn't going to believe God for a husband and moreover, she was past her "prime". She felt if it was condoned in the western culture, she was essentially moving with the modern times. But there is a reason why the Almighty God saw it fit to recognize marriage as a sacred institution and the raising up of a child in the care of a home and two parents. We are not wiser than God. I think we owe it to the unborn generation to give them the right homely condition. Every child deserves to have a father and a mother.